Contact Replied - Triggers when a contact replies back to a sequence. Update Contact - Updates a contact that already exists inside Interseller. 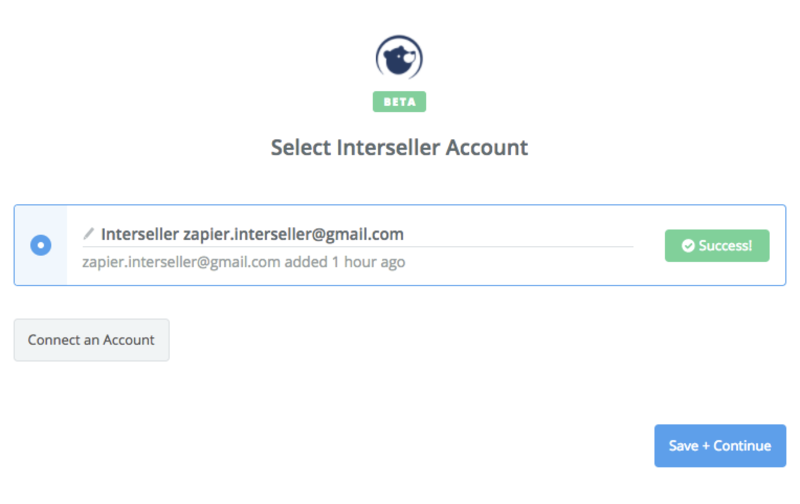 When you start creating a Interseller Zap, you will be asked to connect your Interseller account. 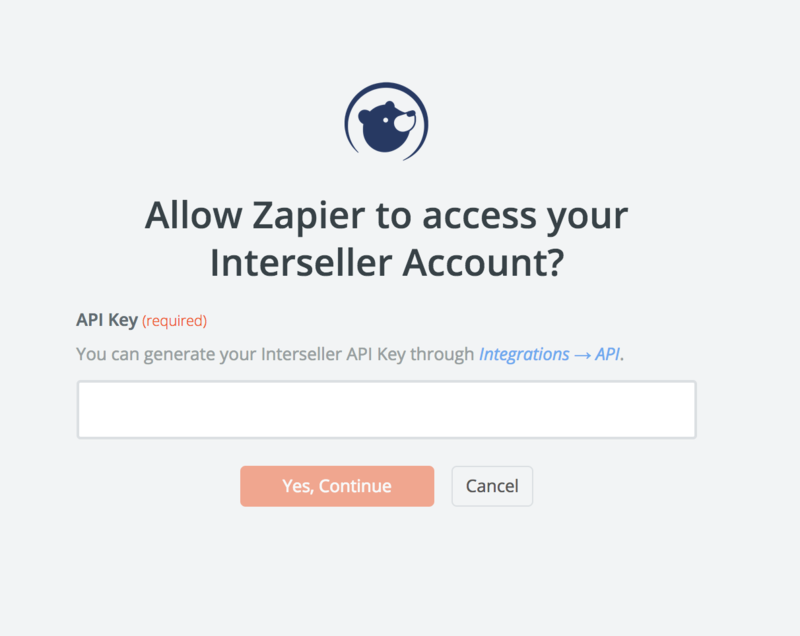 Next, you'll be asked to enter your Interseller API key. 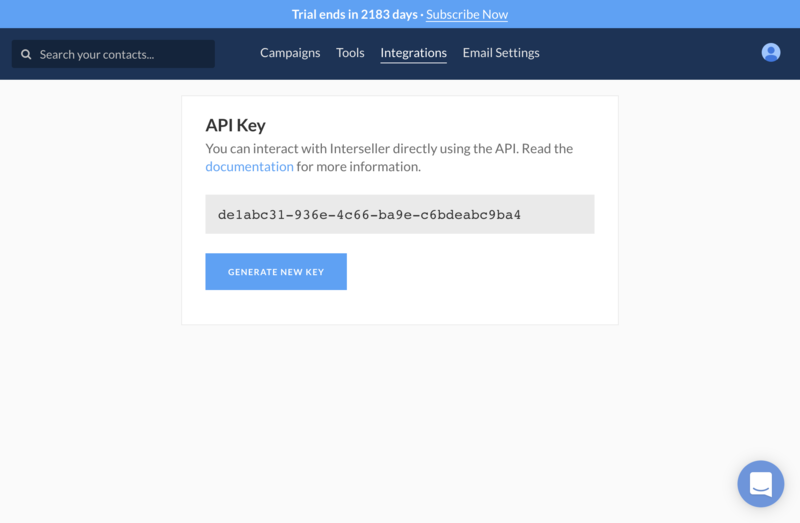 Click the button "Generate New Key" to get an API Key. Copy and paste the API Key to your clipboard. 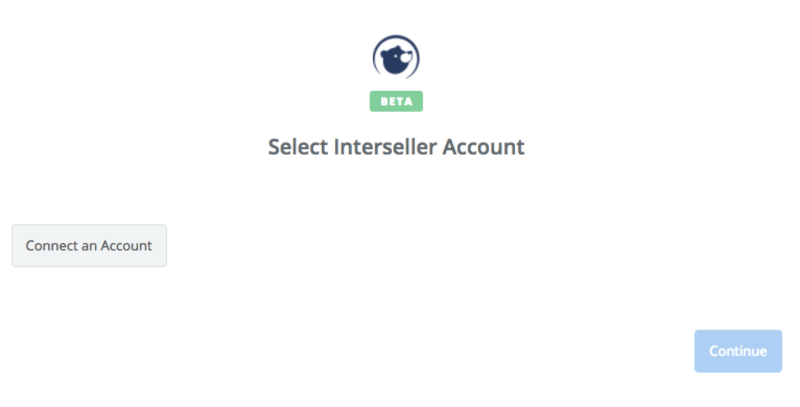 If all steps were successful your Interseller account will now be successfully connected.